The Land Trust of Virginia partners with private landowners who wish to voluntarily protect and preserve their working farmland or natural lands with significant scenic, historic, and ecological value for the benefit of our community using conservation easements. Conservation easements protect open space, farms, forests, rivers, streams, battlefields, vistas and historic sites in perpetuity. When a landowner donates a conservation easement, they maintain ownership of their land; they can sell it or pass it on to heirs. The land remains on the county tax rolls. What changes is that the land itself is protected from development forever. 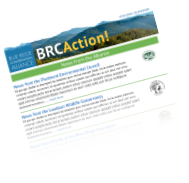 The post 2016 Spring Newsletter Copy appeared first on Land Trust of Virginia. The post 2018 Winter Newsletter appeared first on Land Trust of Virginia. 31 Acres of Local Farmland & Open Space Protected Forever! The post 2018 Summer Newsletter Copy appeared first on Land Trust of Virginia. The post 2018 Fall Newsletter appeared first on Land Trust of Virginia. The post 2017 Winter Newsletter Copy appeared first on Land Trust of Virginia.